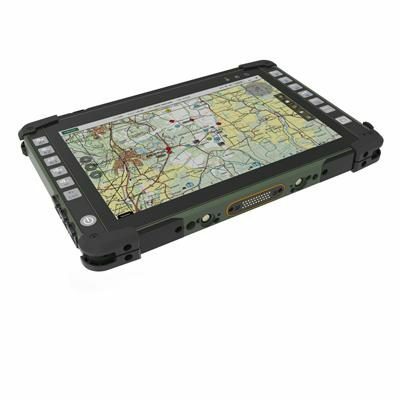 Rugged millitary tablet MilDef DE13 (7") - MilDef, global supplier of rugged military electronics. 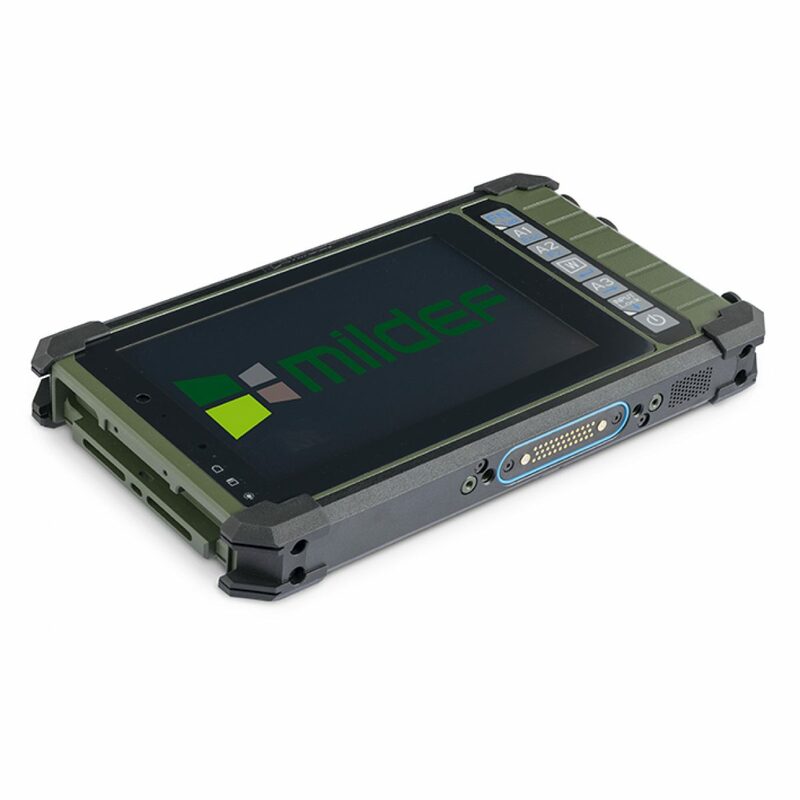 You shouldn’t have to compromise to get a unit with both a slim and rugged design; the MilDef DE13 is based on a slim aluminum chassis for minimal footprint without losing robustness and high performance in extreme environments. It can be utilized as a handheld unit for mobile operations or installed in cramped confined spaces. Either way, MilDef DE13 will fill up the gap between smart phones and tablets with a familiar Windows operating system. 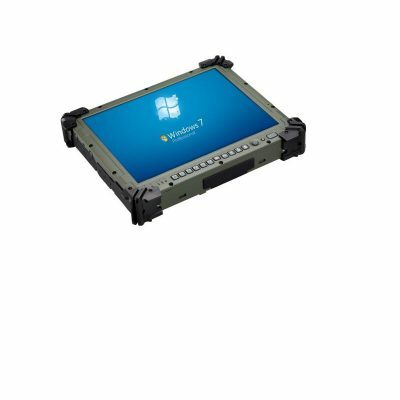 The MilDef DE13 features a high-brightness 7” resistive multi-touch display, CNC milled lightweight aluminum chassis and a powerful Intel I7 CPU. 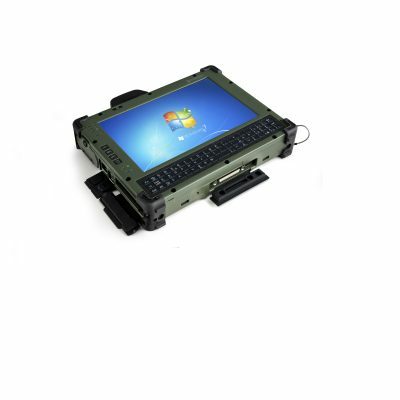 And it comes with a wide selection of customization options ranging from military connectors to wireless connectivity options. 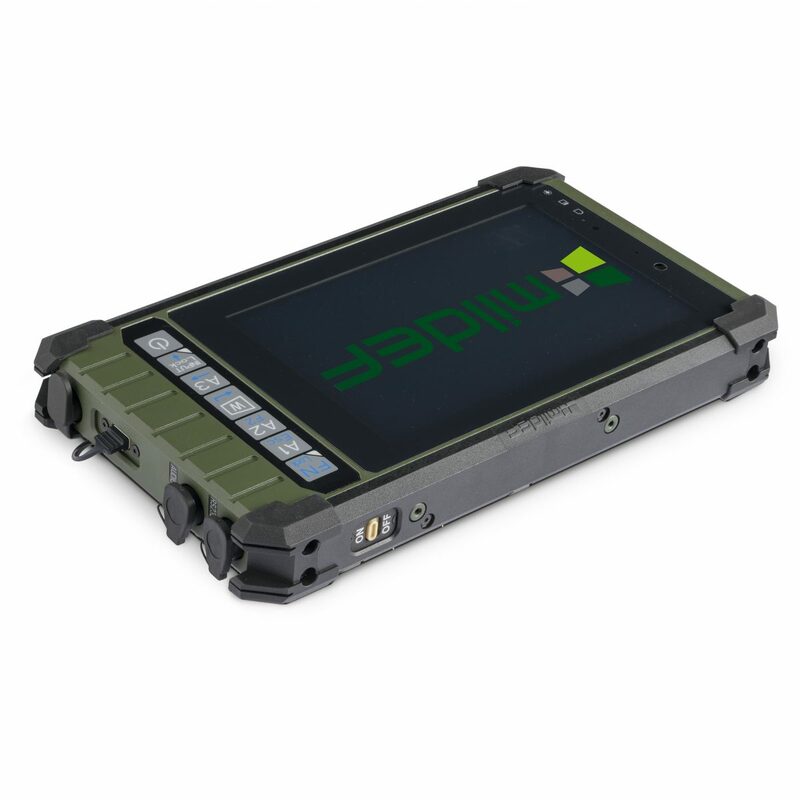 Built for the toughest environment and for use in combat, the MilDef DE13 is IP67 rated as well as certified to both MILSTD-810 and MIL-STD-461. Products supplied by MilDef are always provided with lifetime support to ensure that the equipment maintains peak performance over many future missions.